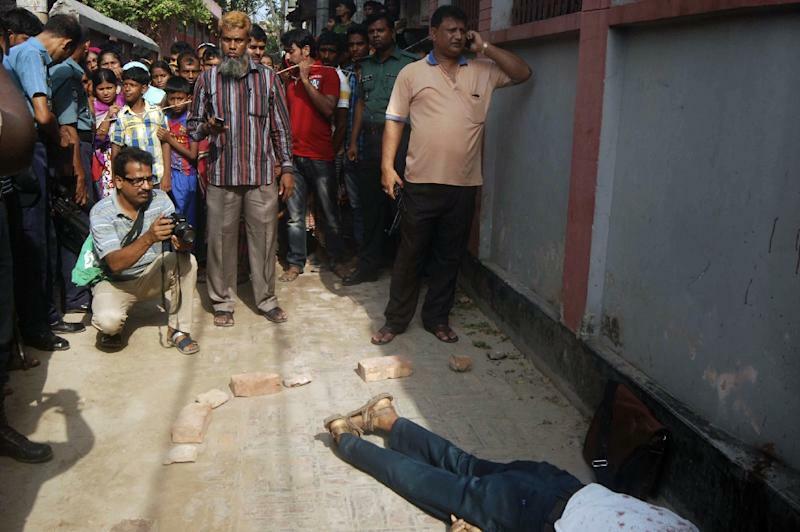 Dhaka (AFP) - A university professor was hacked to death by attackers armed with machetes in northwestern Bangladesh on Saturday, a killing claimed by Islamic State jihadists and echoing the murders of several secular bloggers. "By examining the nature of the attack, we suspect that it was carried out by extremist groups," Rajshahi Metropolitan Police commissioner Mohammad Shamsuddin told AFP. 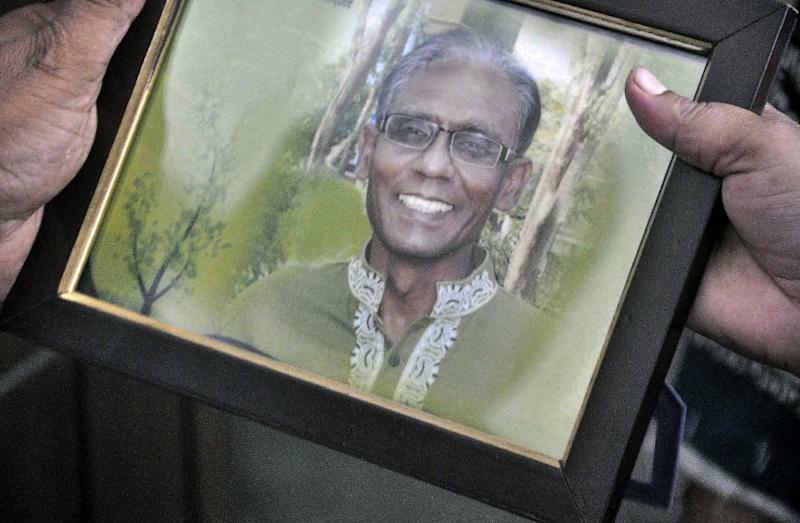 "Islamic State fighters assassinate(d) a university teacher for calling to atheism in the city of Rajshahi in Bangladesh," IS's Amaq news agency said. "As far as I know, my husband didn't have any personal enmity with anyone," his wife, Hosne Ara, told the BBC. "The students were shocked at the latest brutal killing of their teachers," Mostafiz Mishu, a student who witnessed the protests, told AFP. "Some 500 of them shouted slogans and joined the marches calling for protection of all teachers and exemplary punishment for the killers." "He used to lead a cultural group called Komol Gandhar and edit a bi-annual literary magazine with the same name. 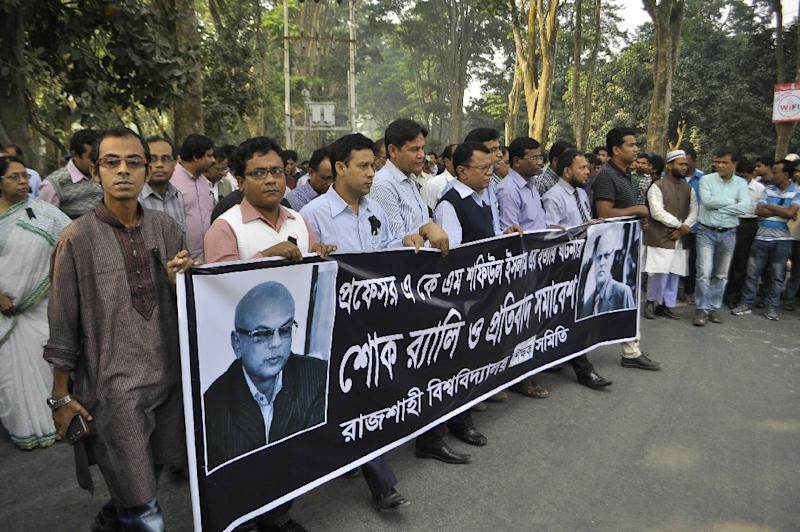 But he never wrote or spoke against religion in public," Hossain told AFP. "The attack is similar to the ones carried out on (atheist) bloggers in the recent past," Islam said, adding nobody had been arrested yet. Champa Patel, Amnesty International's South Asia director, condemned the latest killing as "inexcusable", saying it was part of a "gruesome pattern".